Sometimes writing is a little like having too many tabs open in your browser, except instead of a close button there's only white noise and the absolute certainty that nothing is certain. Sometimes it's like five whole different windows open all at once, and within them a billion tabs each with their own incredible potential. Each needing your attention, and understanding, and imagination. Sometimes writing is that feeling you get when there are so many tabs, and so many questions; when there are so many mysteries and so many miseries; when there are so many stars and too many destinies, that you just can't be there for them all. And there are no signposts. There are no logos or website taglines because there simply isn't enough space. Sometimes writing is too much. Sometimes the potential of writing is paralysing. But for this there is an answer. Step One: Close a few tabs. Part with them. Say goodbye. Good ideas come back to you. Stress does too if you don't start closing tabs. Treat the problem and then adjust for the symptoms. It's easier this way. Come to understand that there will always be more possibilities in your mind than there are stars, but if you look at them all at once you're going to burn up. Know that you don't need all of those ideas right now. Trust yourself to find only one. Step Two: Allow yourself to focus. You can be that person who has only one tab open in your mind right now, give yourself permission to do that. Apply yourself, and don't let anyone put you down for being 100 percent committed to your tab. Fall in love with your idea. Live in it. Step Three: Don't punish yourself. If three words come out in a fit of productivity, and then that's it, that's okay. If three thousand tumble out on a rainy afternoon that's okay too. But always remember, you define your self-worth in writing so if those three words on that Tuesday afternoon were good, felt good, then you're doing okay. Let yourself do okay. Step Four: Don't be a stranger. I mean, like, obvs stranger danger and all that etc etc but when it comes to writing if you need a hand reach out and ask for one. So long as you give it back most people are open to the idea of lending assorted limbs. Talk it through. Don't be a stranger to asking for help. Step Five: Accept your value. Understand that you are as significant as you allow yourself to be but only when you're true to yourself. You don't need to be the next Hemingway. You don't need to be anything. Just by existing you are relevant. Just by writing you are connected. Accept your part in the universe as both an insignificance and significance. It is beautiful. The Most Astounding Fact from Max Schlickenmeyer on Vimeo. 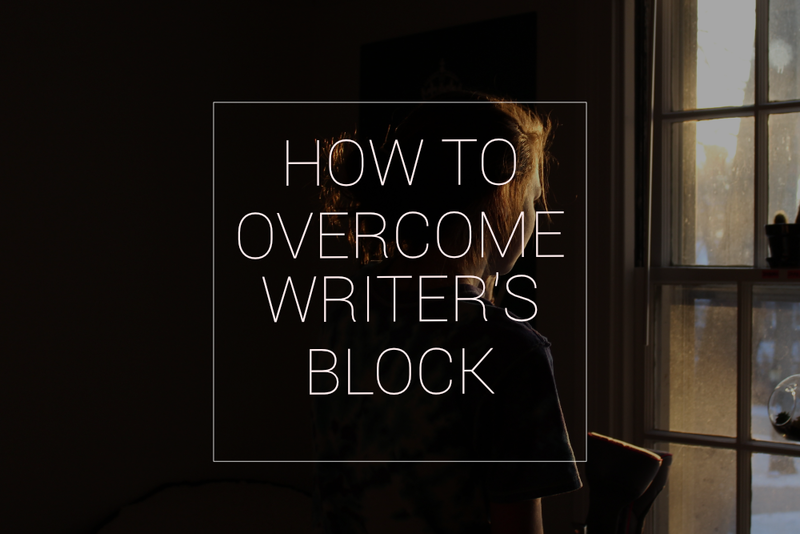 What would you say are the best ways to overcome writer's block? Also the video am I right? I was also going to use this gif but I felt like if I introduced Beyonce to Neil DeGrasse Tyson in one single post the universe might implode and I'm not having that on my plate TY very much.